ROLEX SUBMARINER FUNCTION WITH PRECISION TO DEPTHS OF 1,000 FT. If the Rolex Datejust is the most recognizable model the company has ever manufactured, the Submariner is the most legendary. Debuted at the 1954 Basel Watch Fair as the Rolex reference 6204, the Submariner was the brainchild of Rolex Geneva Director Rene-Paul Jeanerrete (an amateur diver in his spare time). The year prior, Jeanerrete managed to get a specially manufactured Rolex Submariner model to accompany Professor Auguste Piccard and his son, Jacques on their new “bathyscaphe” to a world record depth of 10335ft below the ocean surface. The innovative technology needed to produce this model would be adapted to the production model which debuted in 1954 and the marketing value for the triumph cannot be easily measured. Jeanerrete’s vision was for Rolex to produce the first ever “tool watch.” The Submariner would not be merely a piece of wrist jewelry, but rather a purposeful tool designed for a specific function – diving. While the Submariner gained a slow but steady following among divers, it wasn’t until the 1960’s that the Submariner would truly “take off” with mass appeal, when the Submariner showed up on the wrist of James Bond actor Sean Connery. 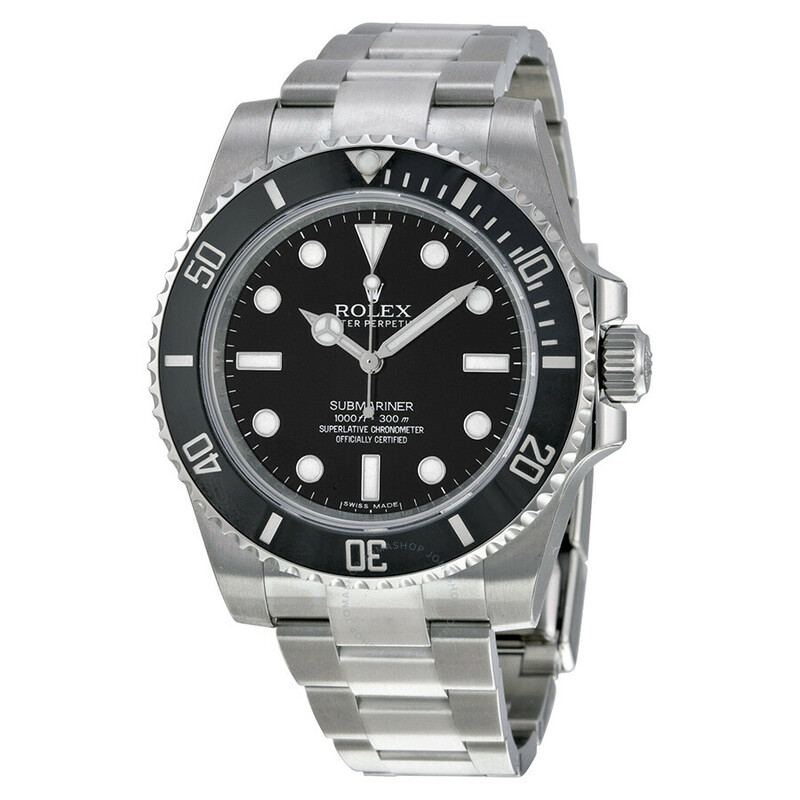 Countless celebrities have since (both on and off screen) worn the Rolex Submariner. The success of the Submariner gave birth to other dedicated tool watches for other purposes such as aviation (GMT Master), spelunking (Explorer II) and racing (Daytona). The Submariner however blazed the way forward for the tool watch segment – it was a game changer not just for Rolex, but for the entire watch industry. Over the decades, Rolex has made only minor changes to the classic appearance of the Submariner but with steady improvements functionally. Rolex improved the water resistance rating of the Submariner and, with the help of French dive company COMEX, designing an extreme depth variant of the Submariner which eventually became known as the Sea-Dweller.